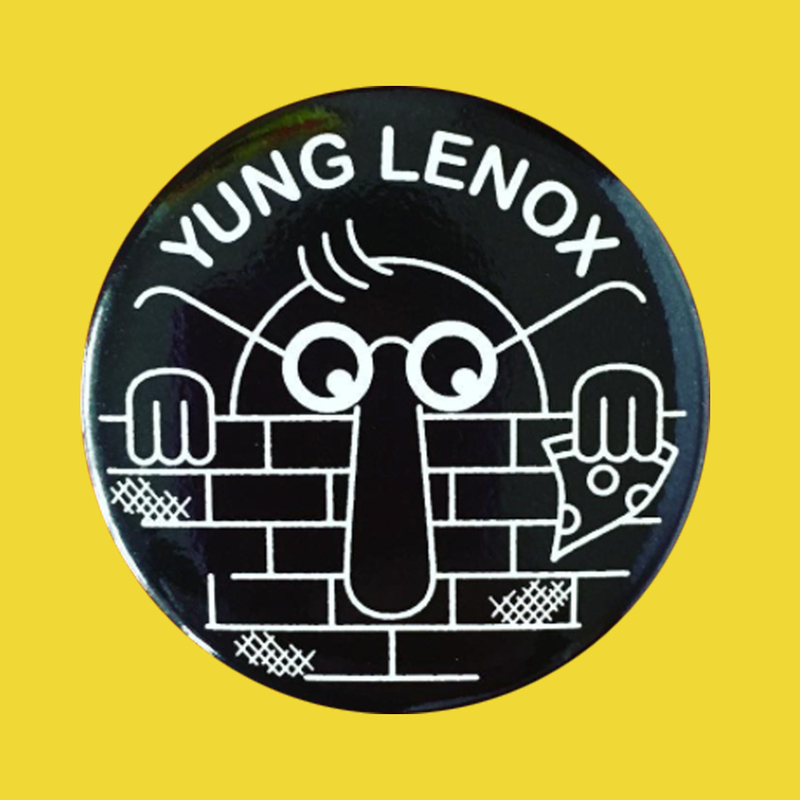 Yung Lenox has 1″ buttons! Our pal, Yung Lenox has been making art for a long while now. These 1″ buttons are from earlier on in his career! Yung Lenox is a Seattle artist who specializes in drawing psychedelic portraits of rappers and their album artwork. Younger than most Yungs or Lils in hip-hop – he’s only nine – Lenox already has had three gallery shows, and sold more than 1,000 prints. He started at age five, with his father Skip championing him. Lenox has inspired many people, including a pair of filmmakers who made him the subject of a documentary that’s currently the basis of a Kickstarter project. Rappers Kool Keith and Cam’ron were among those filmed when they met Lenox; Skip says they were already aware of his work and appreciated his fandom and style.